Heart health is of great interest across the United States, where many people are confident they can manage certain health issues through proper nutrition. It’s no wonder, then, that Americans will spend an estimated $2.5 billion this year on dietary supplements such as Ubiquinol CoQ10 that support cardiovascular health. To understand this nutrient, we need to start with a quick overview of enzymes. Enzymes play important roles in our bodies – for example, they make it possible for us to digest the food we eat and unlock the energy in nutrients. Complex reactions throughout all of nature are made possible – and most efficient – because of these molecules. But to function, enzymes need help from something called coenzymes. These natural compounds assist an enzyme in doing a certain job such as digesting carbohydrates and protein in our body, or making the energy our organs need to function. There are many coenzymes. Among the most important is called Coenzyme Q10, or CoQ10. This vitamin-like substance is made naturally in the body and plays a critical role in the creation of cellular energy. It’s no surprise, then, that lots of CoQ10 is found inside the tissue of energy-demanding organs such as the heart, brain, liver and kidneys. In fact, it exists in virtually all our cells and tissues. CoQ10 is one of America’s most recognized coenzymes. Although millions of us buy the supplement to support heart health, most don’t know there are two main forms of this vital nutrient. Each functions differently in the body. Ubiquinone, also known as conventional CoQ10, is the most popular form of CoQ10. This is because it was the only kind of CoQ10 sold in stores until 2007, when a more advanced form of the nutrient called Ubiquinol (pronounced “you-bik-win-all”) became commercially available. The problem with conventional CoQ10 is that your body must convert it into Ubiquinol1 (the more advanced type of CoQ10) before it can help make the cellular energy your heart and other vital organs need to function at optimal levels. 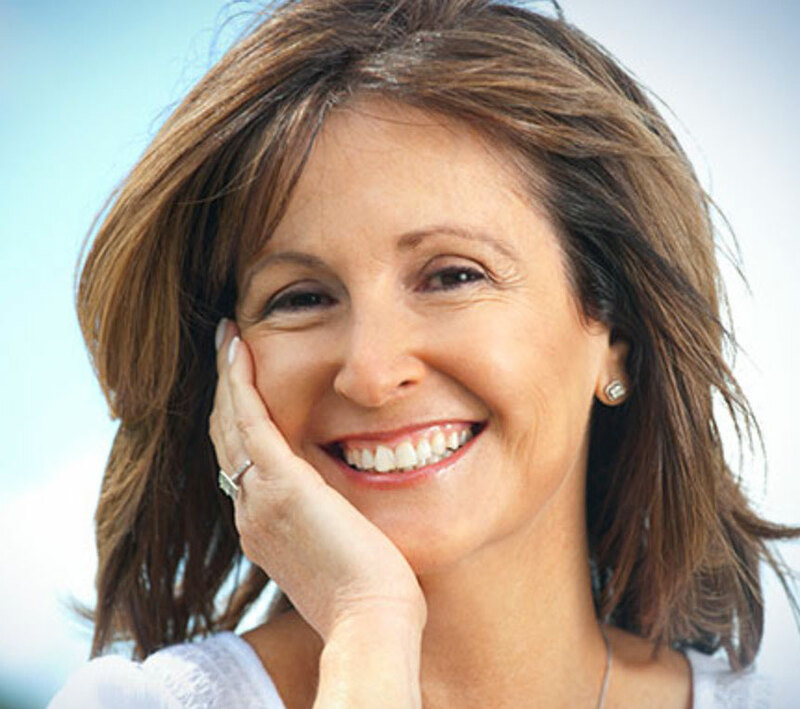 Are You Taking the Right Form of CoQ10 for You? Starting around the age of 30, your body has a harder time turning conventional CoQ10 into Ubiquinol CoQ10, and the entire process becomes less efficient. That is why so many “older” adults are now taking the more advanced Ubiquinol form of CoQ10. Today, retail sales of Ubiquinol CoQ10 are growing an estimated seven times faster than those of conventional CoQ10 as the public becomes more aware of the various advantages of Ubiquinol. Both forms of CoQ10 have interested researchers for many years, but Ubiquinol CoQ10 has been commercially available in America for only 10 years. In that short time, more than 60 research studies have been performed into the health benefits of Ubiquinol CoQ10. 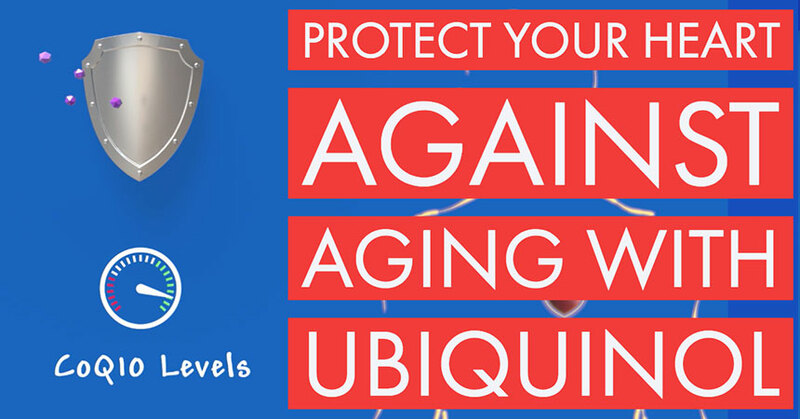 Ubiquinol CoQ10 is a vitamin-like substance that's made naturally in our bodies and plays a critical role in the creation of cellular energy. We make less of the heart-healthy nutrient starting around age 30. Unlike some dietary supplement research, much of this research took the form of peer-reviewed human clinical studies from scientists at prestigious universities and medical schools. Interest in the health benefits of Ubiquinol is strong. Right now, researchers from around the world are busy studying the role Ubiquinol CoQ10 may play in mitochondrial dysfunction, brain health, visual health and bone metabolism, among other areas. Despite its various health benefits, conventional CoQ10 has an important disadvantage: it’s not as efficiently absorbed by the human body. Ubiquinol CoQ10 is different. In every published comparative study to date, Ubiquinol CoQ10 was better absorbed by the body than conventional CoQ10.10 11 12 The amount your body absorbs will vary based on your age and overall health, but studies have consistently shown Ubiquinol to be the form of CoQ10 that’s easier for the body to use. As of the time of publication, Andrew Shea is a Director of Marketing at Kaneka North America LLC, a manufacturer of CoQ10 ingredients. Drs. Barry and Funahashi are employees of Kaneka, and Dr. Schulman is a paid consultant to the company. 1 Mohr D, Bowry VW, Stocker R. Dietary supplementation with coenzyme Q10 results in increased levels of ubiquinol-10 within circulating lipoproteins and increased resistance of human low-density lipoprotein to the initiation of lipid peroxidation. Biochim Biophys Acta. 1992 Jun 26;1126(3):247-54. 2 Frei B, Kim MC, Ames BN. Ubiquinol-10 is an effective lipid-soluble antioxidant at physiological concentrations. Proc Natl Acad Sci U S A. 1990 Jun;87(12):4879-83. 3 Langsjoen PH, Langsjoen AM. Supplemental ubiquinol in patients with advanced congestive heart failure. Biofactors. 2008;32(1-4):119-28. 4 Langsjoen PH and Langsjoen AM. Supplemental Ubiquinol in congestive heart failure: 3 year experience. 6th International Q10 Conference Brussels, 27–30 May 2010; 29–30. 5 Mohr D, Bowry VW, Stocker R. Dietary supplementation with coenzyme Q10 results in increased levels of ubiquinol-10 within circulating lipoproteins and increased resistance of human low-density lipoprotein to the initiation of lipid peroxidation. Biochim Biophys Acta. 1992 Jun 26;1126(3):247-54. 6 Beamer WM and Deamer DW. Energy from Chemical Bonds: The aerobic mode. In: The World of the Cell, 2nd Ed., The Benjamin Cummings Publishing Company, Inc, Redwood City , CA., pps. 275-313. 7 Ernster L, Forsmark-Andrée P. Ubiquinol: an endogenous antioxidant in aerobic organisms. Clin Investig. 1993;71(8 Suppl):S60-5. 8 Zlatohlavek L, Vrablik M, Grauova B, Motykova E, Ceska R. The effect of coenzyme Q10 in statin myopathy. Neuro Endocrinol Lett. 2012;33 Suppl 2:98-101. 9 Fedacko J, Pella D, Fedackova P, Hänninen O, Tuomainen P, Jarcuska P, Lopuchovsky T, Jedlickova L, Merkovska L, Littarru GP. Coenzyme Q(10) and selenium in statin-associated myopathy treatment. Can J Physiol Pharmacol. 2013 Feb;91(2):165-70. 10 Miles MV, Horn P, Milesc L, Tanga P, Steele P, DeGrauwa T. Bioequivalence of coenzyme Q10 from over-the-counter supplements. Nutr Res. 2002:22(8):919-929. 11 Bhagavan HN, Chopra RK. Plasma coenzyme Q10 response to oral ingestion of coenzyme Q10 formulations. Mitochondrion. 2007 Jun;7 Suppl:S78-88. 12 Evans M, Baisley J, Barss S, Guthrie N. A randomized, double-blind trial on the bioavailability of two CoQ10 formulations. Journal of Functional Foods. 2009. 1: 65-73. 13 Miles MV, Horn P, Milesc L, Tanga P, Steele P, DeGrauwa T. Bioequivalence of coenzyme Q10 from over-the-counter supplements. Nutr Res. 2002:22(8):919-929. 14 Crane FL, Navas P. The diversity of coenzyme Q function. Mol Aspects Med. 1997;18:s1–s6. 15 Bentinger M, Brismar K, Dallner G. The antioxidant role of coenzyme Q. Mitochondrion 2007;7S:S41–S50. Man, like machine, needs a consistent supply of energy to keep running smoothly. Our cells convert nutrients into an energy-rich molecule called ATP; Ubiquinol provides the spark that ignites the reaction. Structures known as mitochondria are the cellular equivalent of the internal combustion engine in your car: more than 95% of the energy-rich ATP in your body is created inside these cellular engines. Now rich with electrons Ubiquinol is able to pass electrons to other parts of the chain, resulting in the creation of the ATP your body – a marvelous machine – needs to carry out its various functions. Oxygen is life’s essential element. Yet while oxygen nourishes cells, its role in creating energy (through cellular respiration and metabolism) creates a mostly undesirable byproduct called free radicals. These unstable molecules are missing an electron and try to steal one from others in a process called oxidation. Free radicals can be beneficial in small amounts but at high levels they can damage important parts of our cells such as DNA and protein. Such oxidative stress caused by free radicals contributes to various diseases and even premature aging. Antioxidants react with and neutralize free radicals before they attack a cell. Research suggests a few antioxidants – vitamins C and E, glutathione, lipoic acid and Ubiquinol CoQ10 – may cooperate to greatly enhance each other’s effects. More specifically they seem to recycle (or regenerate) one another after neutralizing a free radical, thereby extending their protective potential.